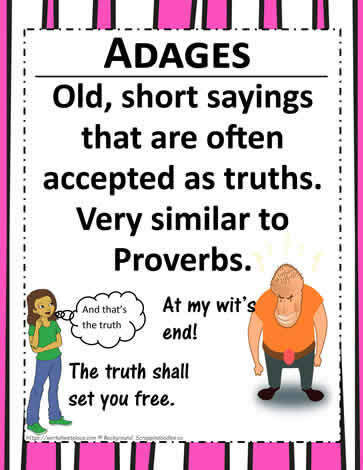 An adage is an old saying and is very similar to proverbs. It has been said that adages are longer saying than Proverbs and date back in history longer than a proverb. Adages classroom poster.